Go to Ludwig Christian Klawitter's web page for family information. Ludwig was Herman's father. 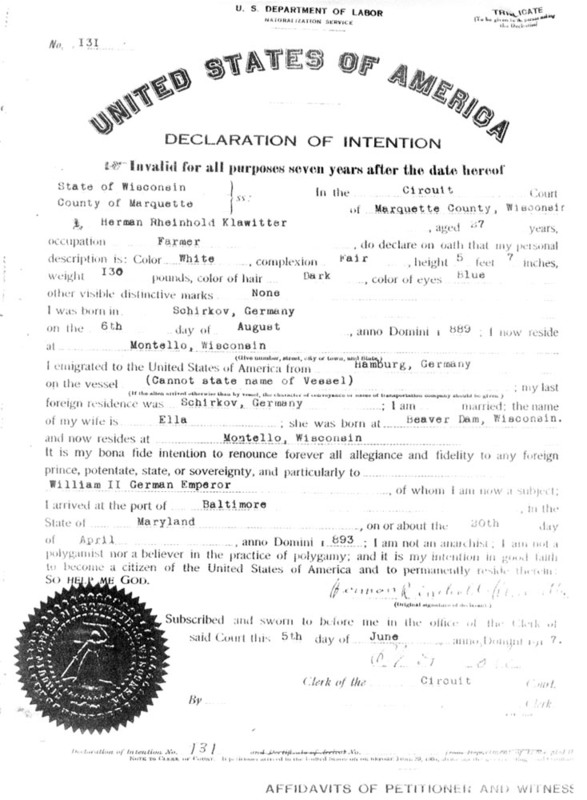 Herman Rinehold Klawitter's citizenship applications say: He was born August 6, 1889, in Schirkov, Germany and came to America through the port of Baltimore on April 20, 1893. 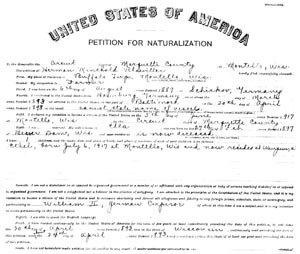 His wife's name was Ella (she was born on Feb. 27, 1897 at Beaver Dam, Wis. and was deceased at the time he completed the Petition.) Ed. Kruger (bar tender in Montello) and Ed. 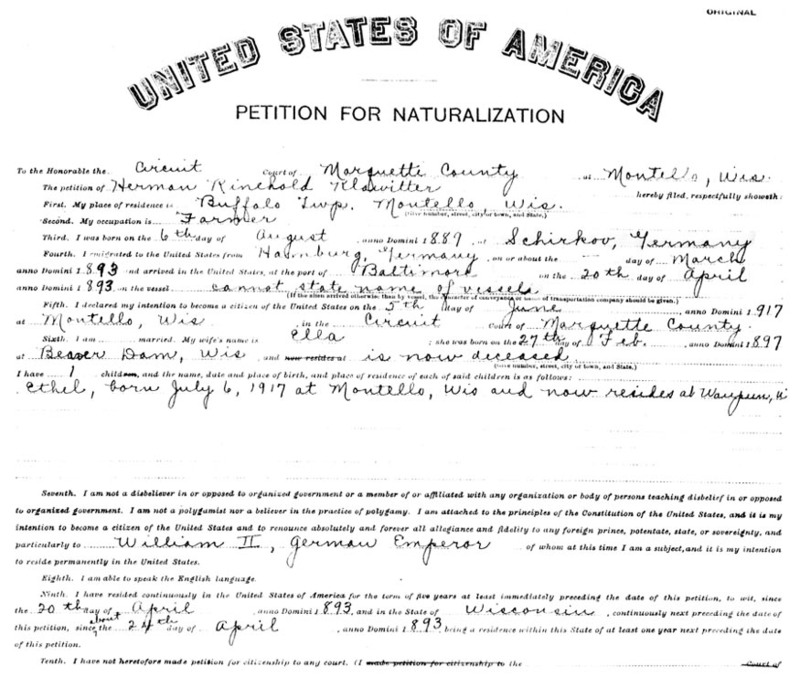 Stubbe (saloon keeper in Montello) signed that he had been living in the United States at least since Jan. 1, 1909. 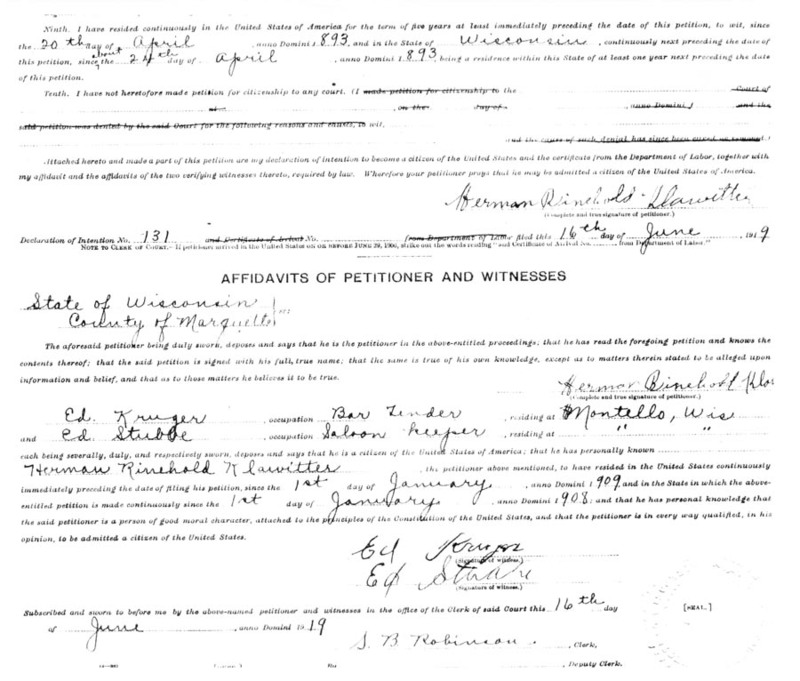 His daughter Ethel was listed (born July 6, 1917 at Montello and residing at Waupun in 1919). S.B. 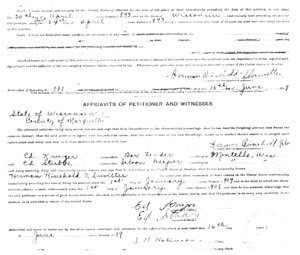 Robinson (clerk) signed the form. Herman's middle name was spelled Rheinhold on the Declaration and Rinehold on the Declaration. His father is Ludwig Christian Klawitter.